Inez Aldridge is a woman on a mission – two missions, actually. When she co-founded the Black Urban Farmers Association in 2015, her mission was to “change the negative legacy about farming for African-Americans.” But the fruits of her labor serve another purpose – helping to expand access to healthy foods for those who live in Stockton’s food deserts. “My background really was healthcare, but indirectly it brought me here because food plays such a part in being healthy,” said Aldridge, who previously worked in telecommunications and then managed environmental services – including cleaning and disinfecting – for a local hospital. Over time, she noticed some hospital patients “were coming in over and over” with recurring health problems. Her friend Ellen Powell had been encouraging Aldridge to get one of the 20-by-20 plots at the Boggs Tract Community Farm, run by the nonprofit PUENTES. 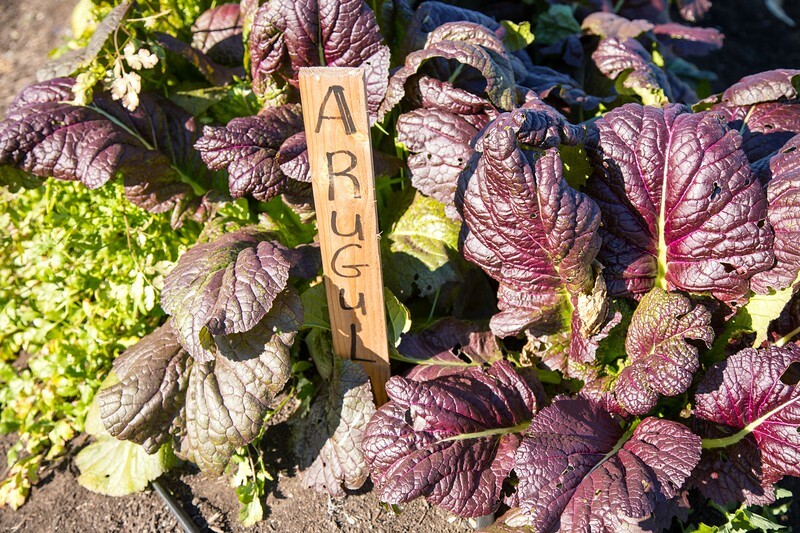 So in November 2014 – a month after she retired from the hospital – Aldridge and her husband, Almus, joined Powell at the community garden at 466 S. Ventura St. near the Port of Stockton. That’s when their farming journey began. Boggs Tract also had another important combination – a diversity of urban farmers, including African-American, Chinese, Japanese, Filipino, Latino, Pakistani and Peruvian families. Some were longtime farmers; others, like Aldridge, learned by taking PUENTES classes on sustainable farming practices, with a commitment to grow crops pesticide-free. During her first year, Aldridge connected with other African-American farmers, and in late 2015 the Black Urban Farmers Association (BUFA) was born. At first, BUFA was farming on a quarter-acre tract at 580 Bowman Rd. in French Camp. With a $5,000 donation from a personal friend and in-kind donations from local businesses, BUFA fenced the property and built a system of raised beds for planting. “We started a farmers market in February of 2016, and it was so successful we realized we didn't have enough space to grow enough food to have a market every week or every other week,” Aldridge said. But when PUENTES opened more land at Boggs Tract, BUFA was able to gain about an acre for year-round production. With more land came more produce – and more opportunities to grow. • In 2016, BUFA became the certified grower for PUENTES, supplying produce for weekly farmstands at the University of the Pacific and at St. John the Evangelist Episcopal Church in downtown Stockton. • In October 2017, the BUFA-PUENTES connection began supplying produce for 10 schools in San Joaquin County to host their own farmers markets, part of an innovative program underwritten by Kaiser Permanente. • In February 2018, BUFA reopened its own weekly farmers market at the Boggs Tract Community Farm. Ten BUFA volunteers do it all – farming, harvesting, washing, bundling and selling produce at the weekly farmers market. Any food that doesn’t sell is donated to individuals or nonprofits that serve the community. In addition to farming at the two locations, BUFA’s active volunteers – ranging in age from 22 to 74 – work with local schools, hospitals and churches to expand access to healthy foods. And they have aggressive plans for more community outreach. For example, two churches that want to start their own community gardens have turned to BUFA for help. To reach seniors and other individuals who might be mobility-impaired, BUFA plans to build raised beds that will enable planting at waist level. Agri-tours are planned for both French Camp and Boggs Tract, and Powell plans to offer classes on canning and preserving.